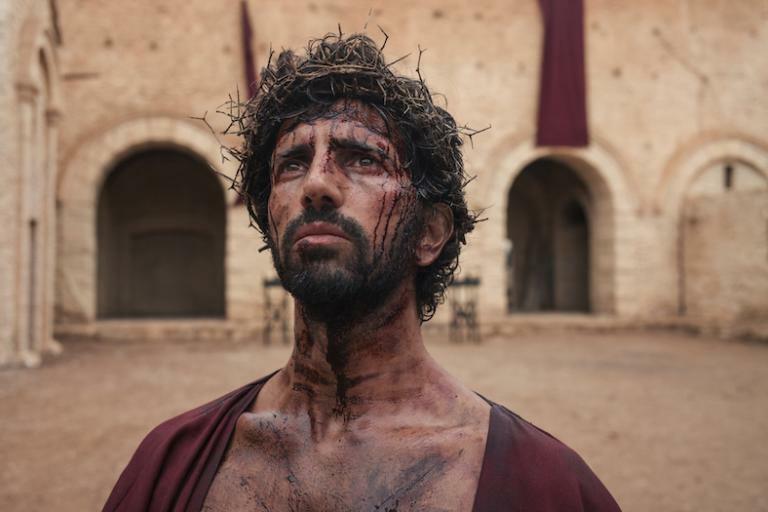 The History Channel will unveil a new eight-part miniseries based on the life of Jesus March 25—and it’s a little different than most of the docudramas we’ve seen about Christ before. Titled Jesus: His Life, the program shows this Man from Galilee through the eyes of other people: Folks who loved him, like his mother Mary and disciple Peter, to folks who wound up sending him to His death, like the Jewish leader Caiaphas and the Roman Prefect Pontius Pilate. Throughout the dramatizations, experts come on screen to give us a little more perspective on what we’re watching, with scholars and religious leaders alike providing historical, literary and theological context. 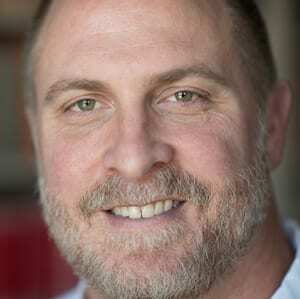 Dr. Robert Cargill teaches Classics and Religious Studies. Robert Cargill, an assistant professor on Judaism and Christianity at the University of Iowa, is one such expert. Editor of Biblical Archaeology Review, Cargill has also produced and hosted lots of shows centered on biblical history, and he was involved with Jesus: His Life from its earliest stages. Paul Asay: How did you fall into this curious field of yours? Robert Cargill: I got into the field of biblical archaeology as a pre-med student. … I was trained in the sciences, so I knew the sciences as an undergraduate very well, but I always had questions about my faith. So I chose to go to Pepperdine [University] to pursue a master’s degree in divinity, and one of the first classes I had there was a course in backgrounds of the new testament and another course I had was a course in biblical archaeology. … I was absolutely sold from day one. Here’s the perfect thing for me, [I thought]—a kid who grew up in central California playing in the dirt, and now I get to play in dirt for a living. Asay: You mentioned that your career began with questions of your own faith. As you know, some people will come away from this show with their own questions. In Jesus: His Life, you’re one of voices of science, suggesting that maybe not everything in the Bible literally happened the way it says it did. A lot of people of faith may be challenged by that. What would you say to them? Cargill: The more someone is challenged by a lack of evidence, the more someone is required to rely on faith. I encourage people to ask hard questions. And I’ve always told my students and learned to tell myself, if God is who people says he is, if God is who he says he is in the Bible, He can handle some hard questions. What I’ve found, especially with this program, is that it allows us to do is go back into the first century and view Jesus the way that people in the first century viewed Jesus. Those that saw him for the first time. Most of us approach the Bible already knowing the end of the story. Surprise, he comes back, right? We know the end of the story, we know he’s the son of God and we have the whole theological approach. What we forget, what we struggle with sometimes, is not only Jesus’s opponents, but even those who became his disciples, struggled with who he was early in their lives. So what this show does, by giving us all these different views of Jesus, we actually get this very keen view of Jesus as a human. And we get to struggle along with these people—many of whom became disciples of Jesus—as they try to work out what would become their faith. We get to struggle with them as they work through the evidence. We know this, but we’ve experienced this, how do we reconcile the two? And I think that’s what most people of faith are basically struggling with today, if I can use that word. That’s what they’re working through in their lives. 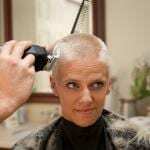 How do I reconcile the evidence with my experience? And this program really, really allows viewers to do that. Asay: Why is it important today for people to understand this history? Why do people need to understand the greater historical context in which Jesus’ story takes place? Cargill: Context is everything. I don’t care if you’re talking about modern politics or you’re talking about ancient biblical studies. I tell students when I take them overseas to go digging—I lead students to go digging over in Israel—and on the weekends I take them to go see the Western Wall, or to the Church of the Holy Sepulchre. And if someone is allowed to touch history, then it sticks with them. You can actually walk them through history, and it becomes a part of them. And once you experience history, once you actually know the physical context in which these biblical stories are actually written, then the text becomes that much more alive to you. It’s like you’re peeling back layers of the text. All those words between the theological nuggets that we’re taught to gleen from it, all those words start to come alive. They start to have meaning and significance. And that’s where the context is important. So you can’t just pull from it what you think you want it to mean. There is some structure in the Bible that says, ‘no, this is significant that Jesus says this or does this in this particular place.’ Studying the context is key to understanding the Bible. Asay: It’s interesting, because when we think back to when the Bible was first written, the people who were reading it or hearing it back then, they would’ve understood that context, right? Cargill: That’s right. And this is the importance of scholarship. A lot of the context would’ve just been known. It would’ve been very common, it would’ve been assumed. Everyone would’ve understood the significance of, let’s say, of Jesus marching from the Mount of Olives through the Kidron Valley up into Jerusalem. Maybe it’s lost on the modern reader is what Jesus is doing is re-enacting the coronation ceremony of the kings of Israel. That’s not a humble little donkey ride up to Jerusalem. He’s actually making a very, very profound statement. … Context really allows a person of faith to see a depth within the Scriptures that they might otherwise miss. Asay: What do you think is the status of biblical literacy today? Cargill: Certainly people don’t know the biblical text as well as, let’s say, 50 years ago. And I think that’s been replaced by something that I think is even more, if I can say, toxic. It’s not just been replaced with an ignorance of Scripture, but it’s been replaced with a false understanding of what the Bible says. And by that I mean, when you read the Hebrew prophetic texts, and when you read what Jesus says about money, about immigration, about things having to do with how we treat others, there’s a pretty consistent theme throughout these texts that doesn’t always get communicated in what passes for modern Christianity today. So I think we have two things going on. One, people just aren’t as well read in the Bible as they used to be, but what’s even more frightening is it’s being replaced by what people are being told is in the Bible instead of what’s actually there. And what they’re being told is actually not what Jesus taught. If I’m in a classroom teaching students who don’t know anything about the Bible, that’s fine. I can just introduce them to the text. But if I’m having to un-learn them, if I’m having to teach them, ‘no, what you think you know isn’t true,’ … if I have to do that, then it’s that much more difficult. I think biblical literacy is important. But it’s got to be done the right way, and unfortunately what a lot of people say today when they mean biblical literacy is they want indoctrination. They want a particular theological point of view taught in let’s say public schools. And that’s illegal. What I want is true biblical literacy. What’s the archaeology, what’s the history, what does the text say. Not trying to convince people of a particular theological viewpoint. And that’s what this show does. This show is not preaching, this show does not try to convert or de-convert. This show brings an incredible diversity of modern religious opinion, it brings an incredible diversity of, something I’ve never seen before, of ethnicity, of gender. There’s just this beautiful diversity of scholarly opinion that reflects the diversity of opinion about Jesus from the first century. And I’m really impressed and proud of that about this show. Jesus: His Life, begins its eight-episode, four-week run on the History Channel March 25.